Employee turnover is one of the most expensive and challenging problems to overcome in the workplace. Businesses learn how to operate with low turnover rates through implementation of effective management techniques will avoid the complications and expenses that come with employee terminations, employee new hires and the subsequent training of them. Drug use in the social culture has become a tolerated phenomenon with a reduced prejudicial abhorrence. With a growing acceptance of marijuana for medicinal and recreational use in many states employers have to deal with employees that yield positive results on both planned and random drug screens. 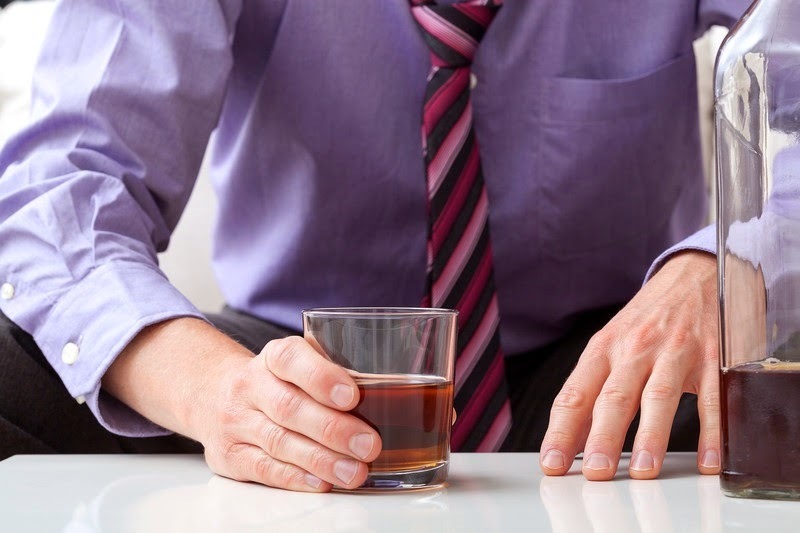 Organizations that have an acute awareness of the social culture’s mood have developed several ways to deal with employees that test positive for various drug abuses. Every circumstance is different, and there is not one solution that will resolve every problem. It is a fact that there are at least as many jobs as there are job descriptions. Companies will have their own organizational structures, products or services, and their own unique mix of employees that will require individual strategies for problem resolution. In broad terms, there are necessary steps that will help decide what measures to take upon receipt of a positive drug test. The first step is to evaluate the environmental factors surrounding the test. Was the test ordered as a result of an accident to meet worker’s compensation requirements under state law? If it was then the options are very narrow, and strict guidelines will have to be adhered to for compliance. Was the test ordered because another employee or manager suspected an employee was using while on the job and was performing duties under the influence? If so, company policy may dictate a particular course of action. Random tests are often built into the business cycle at specific points and if an employee fails one of these drug screens than the employer may leave a little wiggle room for behavior modification strategies. Was it the employee’s first offense? What drug did they test positive for? These environmental factors to the drug test are critical for determining a course of action moving forward. A first-time offender to a random drug test with marijuana in their body is a different situation than an accident or intoxicated incident testing positive for heroine. Why? Public opinion of marijuana shapes behavior and policy at every level of government. Government establishes law and legal consequences that form the environment businesses operate in. If a business has no risk of harm to their business to include its image, product, assets, or employees then it can use its judgment in the management of problems. An employee that is responsible and productive at work is different from an employee that introduces risk to the company’s interest. If the positive drug result is in the best of circumstances such as a first offense in a random drug screen for marijuana, coaching the employee may be the best option. There are a couple of considerations here. The first consideration is the company policy. Policy must allow for retraining of the employee in order for coaching to be an option. Businesses that are seeking to establish tolerant policies have to have clear guidelines that apply to specific classes of employees. In short, what is good for one employee in a class of employees must be good for all of the employees in that class. Medical insurance companies are set up in different ways; the two most common are HMO or PPO. In an HMO (Health Maintenance Organization) the focus is on preventative care that sets an example for the employer. Once the problem is identified with the employee and substance use or abuse an organization can make a direct effort to lead the employee to a drug-free life. The coaching should be done with a human resources person present, and the content of the coaching must be documented with a clear plan of action. Some organizations provide mental health care outside of medical coverage, and it may be a good support for the intentions of bringing the employee into a position of compliance. Coaching should be private and have follow-up sessions and drug screens to assess the employee’s commitment to the organization. The goal is to modify behavior. Discipline may or may not be a part of the process. In an organization that has frequent failed drug screens it may be necessary to have discipline in addition to coaching. For repeat offenders of drug use an employer may have to take a more determinative action to try and deter the behavior. An employee can be transferred, demoted, placed on probation, or placed on forced leave until they test negative for testing. All of these options must be handled in conjunction with a human resources representative and documented thoroughly. The goal of the discipline should be clearly communicated with a focus on the employee’s welfare as a central concern. The employee should be made aware of the company’s desire to retain the employee in a positive but firm manner while also stating that the interests of the organization must be equally important to the employee. If an employee is valuable to the company and the company is important to the employee in equal measure than it is possible to achieve a positive outcome instead of a positive drug screen. The costs of inpatient treatment at a drug rehabilitation facility can be very expensive. Very few organizations will adopt a policy to account for this type of treatment, but it is not unheard of. Major sports organizations or the upper-class job titles like CEO’s may have such a high degree of specialization that it is in the best interest of the organization to allow an employee to participate in the programs. This allows the company to retain them and protect the organization’s image. The most common policy on the books for businesses is a zero tolerance policy. The biggest justification for a zero tolerance policy is the risk involved that an organization takes on when they allow an employee to stay on that fails a drug test. If the employee hurts themselves, another employee, or causes some other harm the law suit resulting could put a company out of business. In the case of a high profile position with rare qualifications the risk of injury may be less than the risk of damaging the company’s image due to a termination. In these scenarios, human resources and marketing can do a risk assessment cost analysis in conjunction with the accounting department to make a decision that is in the best interest of the company. These decisions are not for the faint of heart and should probably involve an attorney’s advisement. There is no substitute for loyalty and compassion from one person to another. The alternatives to termination should only be considered from an organization that has a genuine care for the welfare of people. Taking risks in business do not always pay off and should be considered with the result in mind. Too much tolerance will encourage bad behavior and must be administered from within the framework of a highly structured program under the advisement of a solid human resources department and skilled attorney. When such programs are effectively managed and employees do turn their lives around the payoff can be tremendous. The employee will know that the organization has made an investment in them and will have a strong motivator to contribute their very best to the company. As public opinion continues to soften regarding certain drug use, the policies of governing bodies will continue to modify laws to reflect the public interests. Businesses that want to reduce employee turnover and create a culture of loyalty need to stay current with societal trends and views. There are already enough challenges in finding good solid trustworthy and productive employees without looking for reasons to terminate the ones you already have. Prudence in the administration of discipline and the creation of policy will go a very long way. About the Author: The writer, Ray Donato, is the human resources director for an Orlando based company, and has been hard at work drafting policy in anticipation of any marijuana legalization initiatives. To handle the drug screening for his company, he turns to the services of Workflow Orlando. You can learn more about Ray by visiting Google+.